The tour will cover the Propylaea, the temple of Athena Nike, the Erechtheion, the Parthenon, the Odeon of Herodes Atticus, the theater of Dionysus, the Asclepeion, the Stoa of Eumenes, which will “reveal” their role in ancient Athens and with the panoramic view of the modern city of Athens as a backdrop, the visitors will learn its history. Starting point: Museum of School Life and Education (23 Tripodon st.,Plaka, Acropolis metro). Tour fee: 10 euros per person, 5 euros for children. 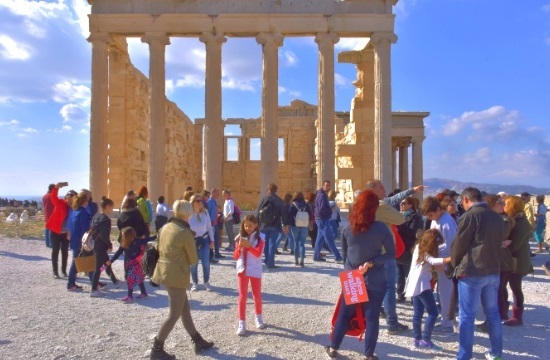 Daily small group historical and culinary tours of the Acropolis, run by University graduate guides to ensure the ultimate experience, are organized by Athens Walking Tours.